San Jose, California, USA, June 7, 2012 : As anyone who has ever towed a travel trailer knows, extended mirrors simply do not give enough rearward vision. The blind spot becomes frustratingly clear when trying to change lanes or make just about any other maneuver, even disregarding backing up. This lack of rearward vision clearly highlights the need for an item more effective than mirrors. 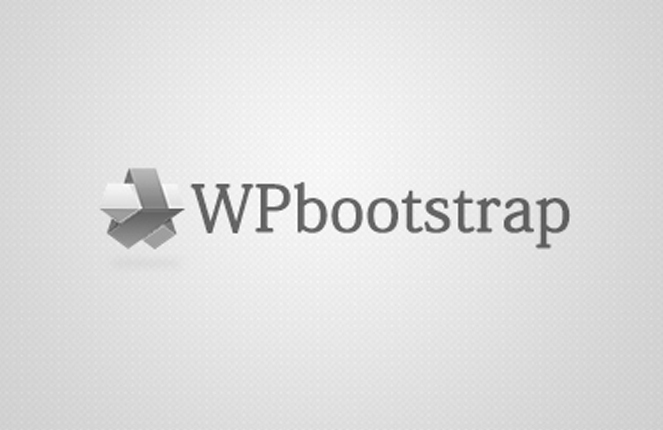 Recently, wireless cameras have started to appear. They consist of a camera at the back of the trailer linked wirelessly to a monitor in the tow vehicle. However, the system still isn’t truly wireless because the camera needs to be powered as does the monitor. Therefore, all that is being eliminated is the wire running the length of the trailer, at the expense of more complicated wiring at both ends. AmeriCam, based in Silicon Valley California, has now addressed the problem with their patented single cable installation technology. In essence, a discreet MicroBlock™ camera is mounted at the back of the trailer and a single 3/16” cable is fed to the front. 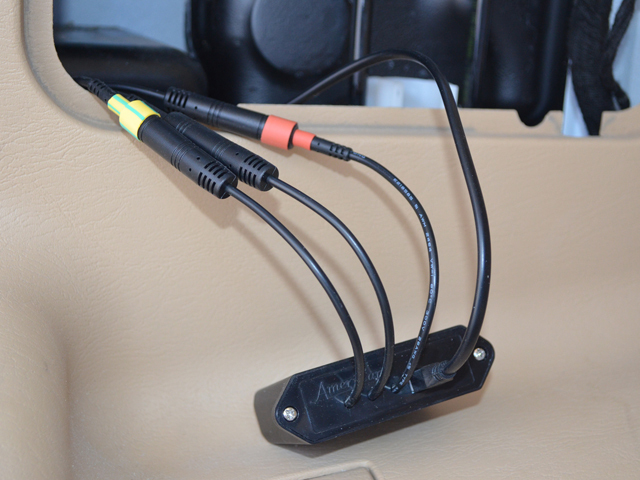 A waterproof IP68 rated connector sits alongside the tow vehicle’s standard 7 pin connector and the system control unit is mounted in the back of the tow vehicle. A similar small cable is fed to the front of the tow vehicle and connected to a high quality 3.5” monitor. Alternatively, the system can be hooked directly into any existing display, such as a Sat/Nav, providing it has standard video in. The estimated install time for a travel trailer is around 30 minutes and around 45 minutes for the tow vehicle. The end result of this approach is a camera in the tow vehicle which is ideal for hitching up and daily use as a backup camera, and a second camera at the back of the trailer for an unobstructed view there. 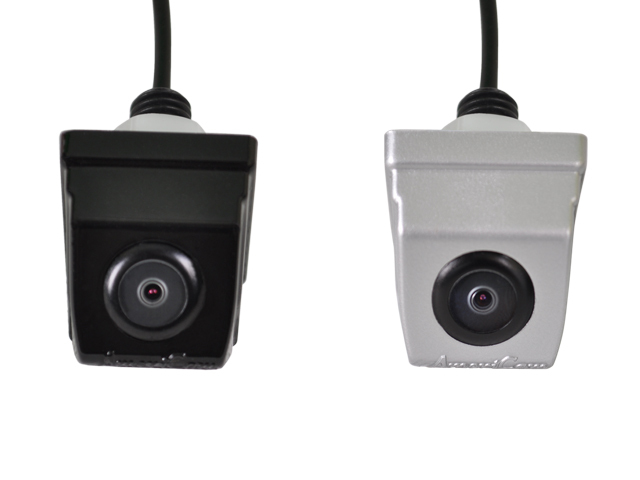 Both cameras work seamlessly and automatically depending on driver preference and configuration. With a choice of Lacquered Black or Pearl Silver cameras to match any trailer paint scheme and a crystal clear display up front, towing a trailer has never been so relaxing and stress free.